I'm a dreamer. I day dream more often than I probably should and I think BIG. But if I were to be completely honest, sometimes, my dreaming stops there. It ends where it started, in my mind. While dreaming is exhilirating, often the doubts of "that dream is a little overboard" or "that would be impossible" creep in. More often than I'd like to admit, taking new steps towards that dream means stepping into the unknown, and I'm not okay with it. Because in the unknown, as blatantly obvious as this sounds, there's a lot of uncertainty. I question the heck out of new opportunities and first steps. Anyone else? God have mercy! He sure is patient with me cause let me tell you, life doesn't always give us all the answers. New opportunities sometimes don't either. Thus any uncertainty sprouts doubts in my mind and inevitably those doubts feed my fears. I've blogged for nearly 8 years now. In June of 2017, I launched this new site in hopes to grow my blog, speak to women anywhere the opportunity presents itself and write a book. To sum, my dream is to teach and encourage women through the written word and the spoken word. I can't be walking in fear or camp out in my excuses if I want to live to see those things come to pass. Amen? Amen. 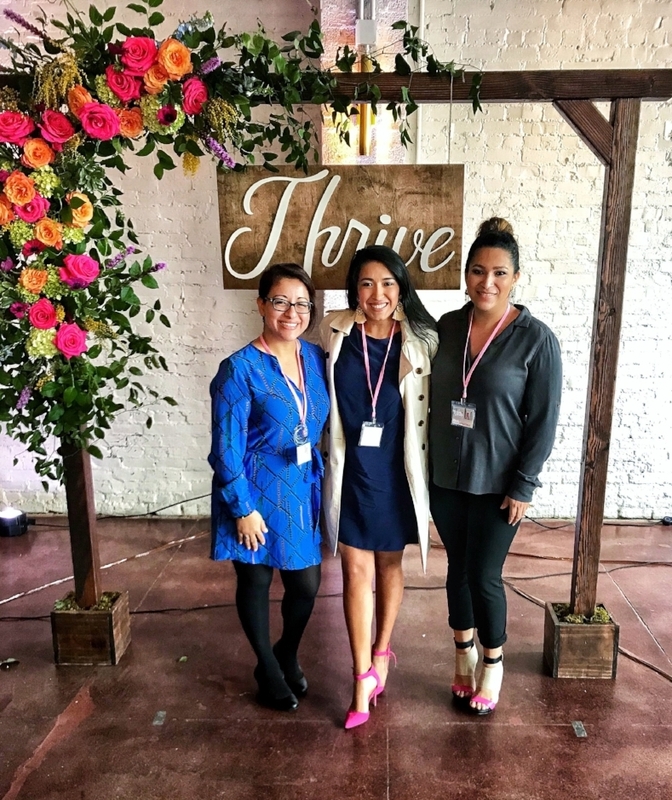 Months ago, a friend told me about Thrive, an online community and offline conference for bloggers and social media influencers. Their conference was approaching and I kept going back and forth on whether or not I could attend such a conference. I feared investing in something I may possibly fail at later. If you're tired of reading my list of fears and excuses, friend I don't blame you. Cause I got tired of speaking it over myself! God began whispering His truth over my fears in times of prayer and through friends I texted or visited with weeks before the conference. And soon after, the funds were available (#praisebreak) and I registered for the conference just hours before registration closed. 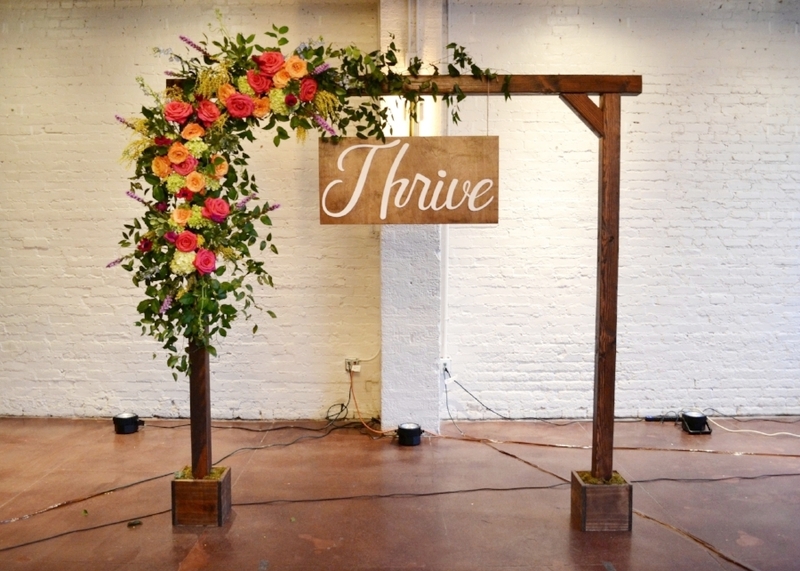 The conference was now just 5 days away and I grew nervous by the minute, but I was determined to jump over every doubt, load up my SUV, and drive my little tail to Austin, Texas for Thrive Creative Conference, my first ever blogging conference. HA! I can now laugh at the fears and excuses I composed in my mind for weeks on end as I think back on the peace, joy and freedom I experienced on the other side of my trust and obedience. There's something sweet about walking in freedom. For me in particular, I walked the streets of Austin with an extra pep in my step, treading joyfully in this freedom. 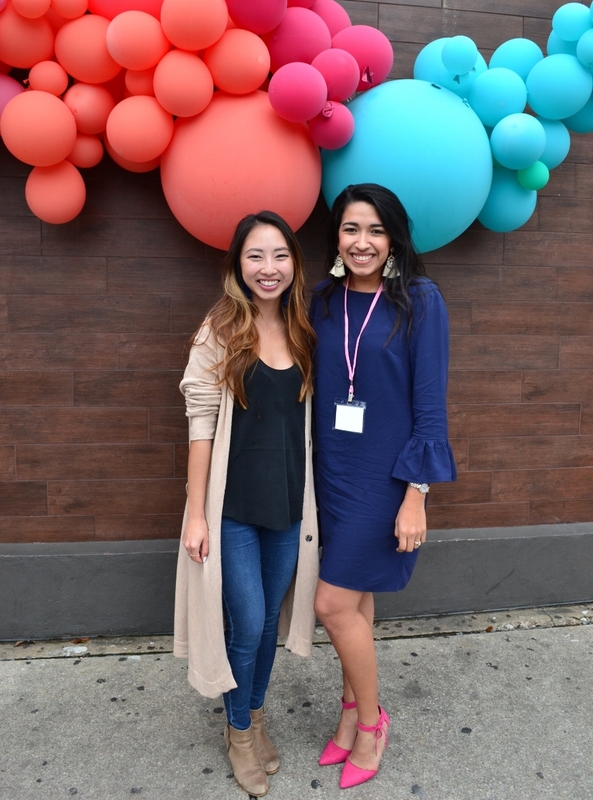 I made new friends, took all the pictures, wrote out notes, asked questions and connected with bloggers from all over. I was in a room full of dreamers, go-getters, proffesionals, visionaries and creatives. A room I couldn't have entered if I had allowed the fear to bind me any longer. We heard from such talented speakers, successful bloggers, insightful panelists, designers, photographers and fellow creatives. 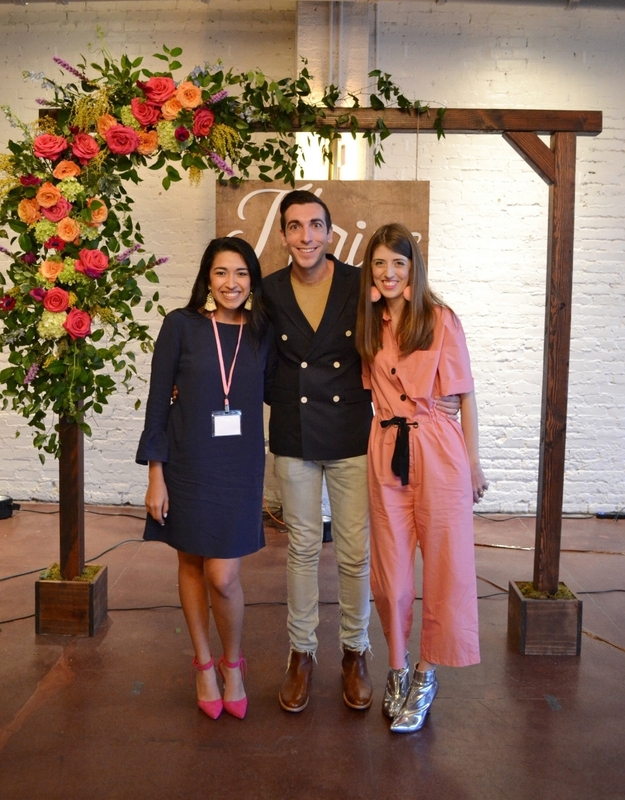 Our key note speakers, Kelly and Jeff Mindell of Studio DIY, were asked, "when did you know that you were ready to make your dream a reality?" Maybe you have a dream you've never told anyone about. Make that's your first step. Share that dream with someone you trust. Perhaps you have voiced your dream but are paralized in fear. Friend, trust God and obey. Take that first step as Jennie says in her book, Nothing To Prove (get it here). Start that Etsy store, send in that college application, sign up for that photography course, start that Bible study in your home, call the adoption agency, register for that 5k. Take a step. And do it scared if you have to! Take the risk. Try something new. Step out of your comfort zone. Have faith as you move forward in the direction God is leading you. I hope each step of obedience you take silences the fears. This dreamer is rooting for you! 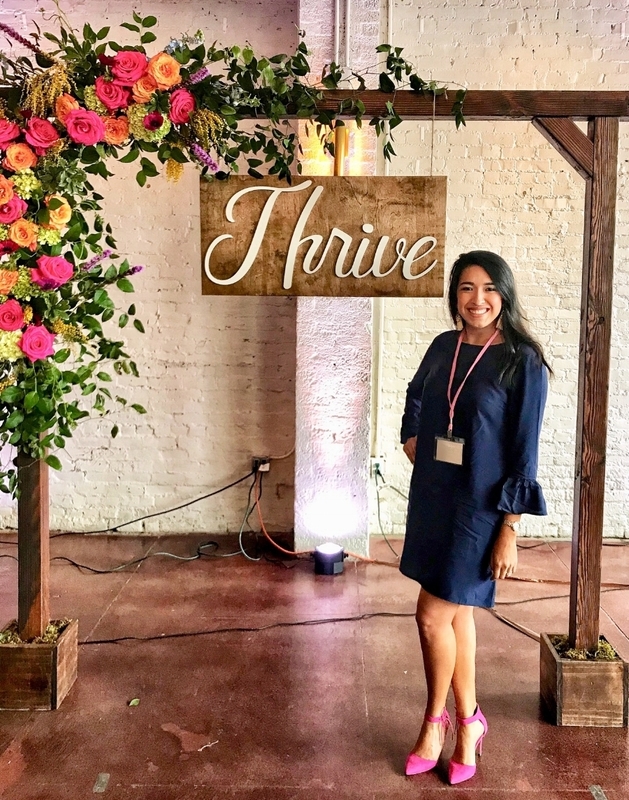 Shop my conference look by clicking the images below. Can't beat that price for a dress (I'm wearing a small), heels and statement earrings! Affiliate links are included, meaning I may earn a small commission through clicks or purchases made on those links at no extra cost to you.